You know who you are: hard working, and on top of your game. "You only live once", is your motto, and you're not afraid to reward yourself. For you, the CALLAHEAD® Corporation is proud to present "THE HEADMASTER", yet another revolutionary state of the art product for the portable sanitation industry. 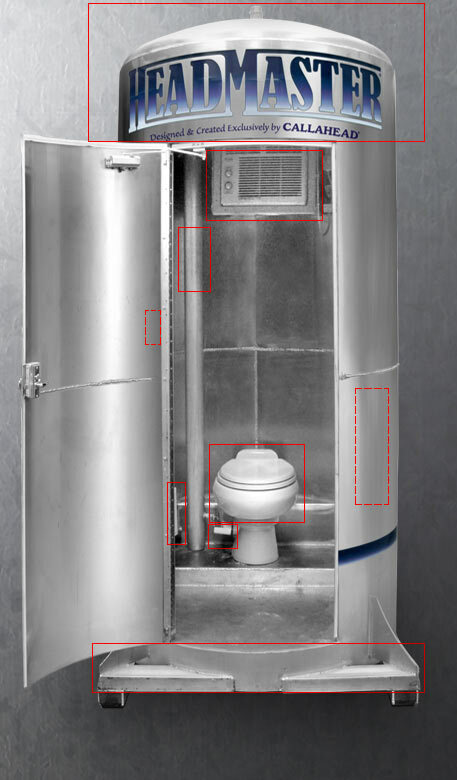 THE HEADMASTER is a gravity fed portable toilet in which water flushes to a porcelain toilet bowl from a 75 gallon fresh water holding tank located at the top of the unit. 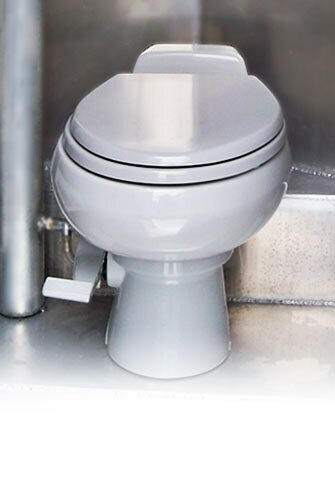 The speedy connector waterline which runs from ceiling to floor creates a natural flow of fresh water through a 3" pipe directly to the porcelain toilet. 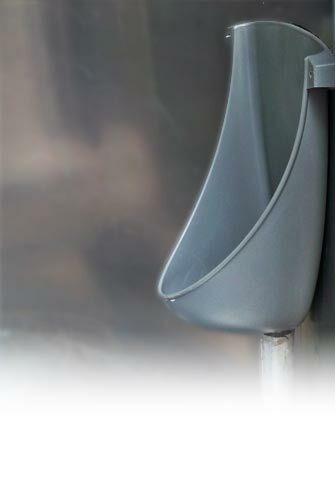 The waste water is easily disposed into a 75 gallon waste water holding tank located at the bottom of the unit. THE HEADMASTER is entirely constructed of aluminum with 1/4 inch thick walls and circular design for superior strength. Its bright silver color creates the coolest possible look while using only the highest quality and cleanest materials available. THE HEADMASTER comes fully equipped with both an air conditioner and thermostat heater to keep the unit comfortable all year round. There is no product in the country of its kind and its patent pending design was created "To Develop and Evolve a Human Necessity", exclusively by CALLAHEAD® Corporation. The HEADMASTER Flushing Portable Toilet with Climate Control. 1500 Watts of Electric Heat! Heat Thermostat & Light Control Switch! Electric Light for Day or Night Use!